The Islamic State group is looking to recapture lost power by reverting to the grisly tactics that first propelled it to global notoriety, analysts say, including executions and kidnapping minorities. 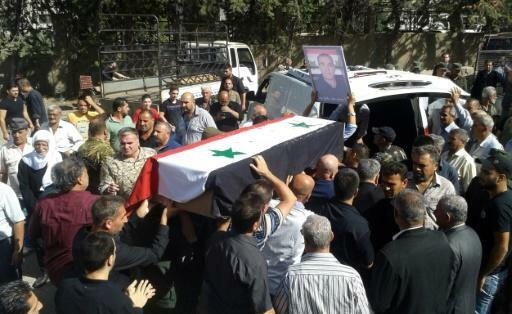 IS last week beheaded a 19-year-old student, one of more than 30 Druze Syrians it kidnapped in late July during a spate of suicide bombings, shootings and stabbings in Syria's southern Sweida province. While official IS media quickly claimed responsibility for the attacks, the propaganda channels have made no mention of the kidnappings. Instead, local sources and war monitors say the jihadists were in talks to swap the Druze hostages for IS commanders and other fighters held by Syria's government. "On one hand they are publicly killing people, but then behind the scenes they can take hostages and swap," says Hassan Hassan, senior fellow at the Tahrir Institute for Middle East Policy. "That's key -- the whole thing is part of an attempt to revive its cells, bring back some of its resources, and replenish some leadership and ranks with people who have been kidnapped or held in prisons," says Hassan. 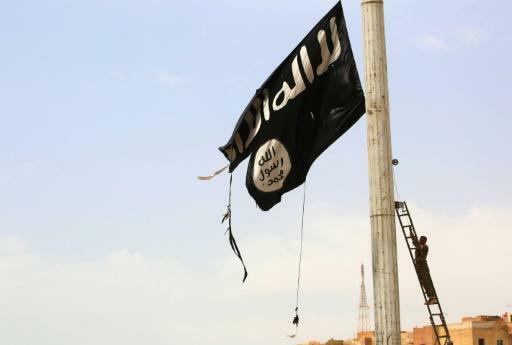 IS has fallen far since declaring a so-called "caliphate" across Syria and Iraq in 2014, where it implemented its ultra-conservative interpretation of Islam, including public executions. Last year, the group lost its twin seats of power -- Mosul and Raqa -- and a few months ago was ousted from its foothold in Syria's capital Damascus. Many of its top commanders have been killed, and regime and US-backed forces are separately detaining IS members -- including its infamous foreign fighters -- across the country. But even as its wings get clipped, IS will likely keep using "swift hit-and-runs to kidnap people". "The government is stable and secure, but the communities bear the brunt," says Hassan. IS has used similar tactics in Iraq and in Syria's northeast, where in 2015 it abducted 220 Assyrian Christians that it ultimately traded for a large ransom. 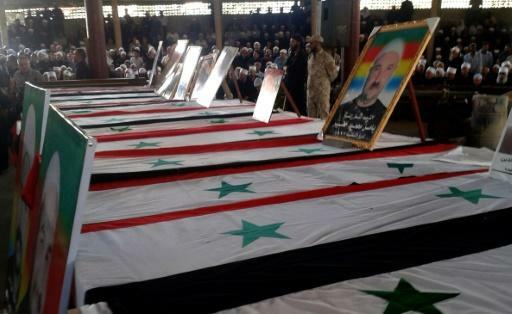 Negotiations for the remaining Druze hostages -- 14 women and 15 of their children -- are taking place through Russian coordination with Syria's government, according to a top Druze religious leader. The student beheaded by IS last week was taken hostage alongside his mother. Relatives received footage of the young man speaking before he was killed, as well as his decapitation and images of his lifeless body. It was the latest episode of the traumatising saga that began with the July 25 attacks, which killed more than 250 people -- most of them civilians. The violence has left Syria's Druze reeling after seven years of being relatively cocooned from the war. Analysts say that brand of shock and terror has also long been a part of IS's modus operandi. "They need a soft target in the same way when they attack the West -- a soft target maximises their reach, the pain, it damages the support system, it's a divide-and-conquer strategy," says Hassan. Perhaps IS's most infamous attack against a minority community was its raids against Iraq's Yazidis in 2014, when it forced tens of thousands from the tiny religious group to flee and captured girls and women as spoils of war. Khattar Abou Diab, a Paris-based expert on Syria, says raids on the Druze evoked those dark times. "The actions and abuses waged against the Druze civilians since that Black Wednesday (July 25) very much resemble those carried out by IS against the Yazidis in Iraq," says Abou Diab. "For this ancestral community, taking female hostages crosses all their red lines," he adds. The Druze, who made up three percent of Syria's pre-war population, follow a secretive faith seen as an offshoot of Islam but cast by IS as heretical. Their leaders have sought to maintain a precarious arrangement with the regime: in exchange for maintaining their loyalty, Druze men would not be conscripted and sent to fight far from home. By targeting the Druze, IS wants to rupture that relationship, according to Pieter Van Ostaeyen, a Belgian expert on jihadists. "An attack on the Druze community in Sweida is aimed to create unrest, and an attempt to make them rebel against the regime," he says. "After all, this is the old tactic of IS in all of its incarnations: to try to create anarchy, unrest and ultimately take control over the chaos." IS perfected the strategy in its early years, when it was just the Islamic State in Iraq, and will pursue it to recapture the territory and global infamy it once had. "IS and other terrorist groups will continue to perpetrate attacks in Syria, and minorities will always be the main targets," says Fabrice Balanche, an expert on Syria. "Even though IS has no territory, it remains clandestinely in Syria."